WHAT IS THIS MAGIC EMAIL APP OF WHICH YOU SPEAK? I’m so glad you’re excited to know the best email app I’ve ever used is called Airmail. And just a quick note, I am not getting paid for this review. Everything I write in this post is entirely my own unbiased opinion. First, I love how easy it is to set up. Within minutes, I had email from 7 different email addresses pouring in (yes, 7). It was much quicker than Mac Mail to set up, in my opinion. Want to know how to set up email using Airmail? Look below to get your free video tutorial! This is my FAVORITE feature by far. Airmail has filters that allow me to quickly add emails to a To Do list and then mark them as Done when they are complete! I also can star emails, if I desire, for quick reference. This beats the pants off Mac Mail’s colored flags, trust me. There are also filters for email that came in today which helps me narrow the field to the most important emails I need to answer. Read more at Airmail’s help section. So you know those nights you are up until midnight answering emails, but don’t want your clients to get the impression that you work all hours of the day/night so that they send emails all hours of the day/night? Airmail allows you to write an email and then set a date/time when to send that email. Genius! I don’t know about you, but I love a good HTML signature. An email signature that has your logo, your business name and contact details is the best advertisement for your business. It was not easy to set up an HTML signature in Mac Mail, not easy at all! But I am happy to report that Airmail has made it super simple and if you save your signatures to the cloud, you can reuse them in your iPhone and iPad too! On my iPhone and iPad, I can set do not disturb based on email address so on Saturdays, I can still get personal email, but not business email notifications! Isn’t that amazing? You can link Evernote and other apps to Airmail so you can quickly send them to those programs. This sped up my work flow so much because I no longer had to copy and paste info from emails into Evernote or download attachments and then reattach them to Evernote. So great! So far, it integrates with Mac Calendar, Mac Reminders, Google Drive, Dropbox, OneDrive, Droplr, Wunderlist, Todoist, Mac Contacts, CloudApp, Box, Evernote, FTP, Open Directory, Asana, Trello, OmniFocus, Things, Fantastical, 2Do, and BusyCal. But I won’t. 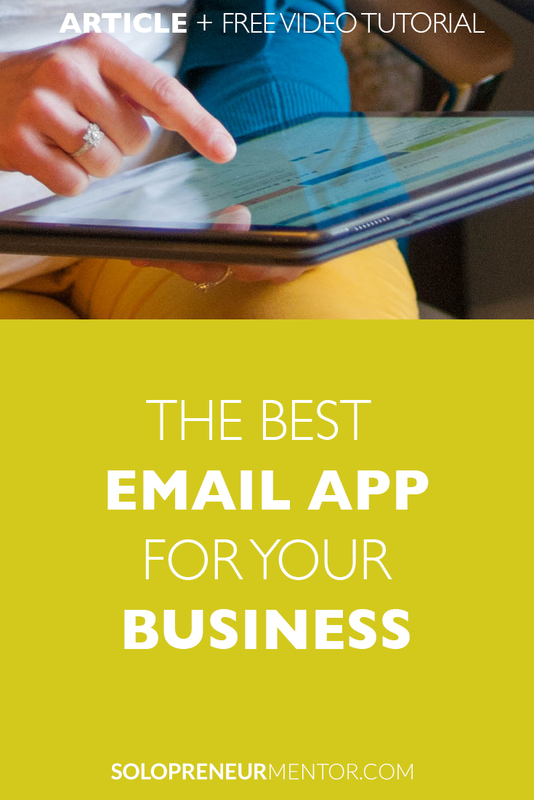 Truly, it is the best email app I have ever used and I hope you enjoy it as much as I do. Dive in and see all the amazing features and you won’t ever want to go back to Mac Mail – I promise!